With a new December 2020 release date in place, and cast members like Oona Chaplin recently coming aboard, the production start date for Avatar 2 has finally been revealed. Producer Jon Landau spoke at the CineEurope conference in Barcelona, Spain today, where he stated that principal photography will begin September 25, 2017. Pre-production has already been under way in New Zealand since April, when the franchise's Facebook page shared a photo of the immense team working with director James Cameron and producer Jon Landau. Here's what Jon Landau had to say in a statement about these sequels, and how they will connect to the original Avatar blockbuster. "At the heart of any movie are the characters. One of the strengths of great scripts are always the universal and relatable themes. There's no more relatable theme than family. At the center of each of our four movies will be the Sully family. Each sequel will play as a stand-alone movie. Each movie's story will come to its own conclusion. However, when looked at as a whole, the journey across all four movies will create an even larger connected epic saga for audiences around the world." Jon Landau also confirmed at CineEurope, via Deadline, that the decision was made during development to set all of the Avatar sequels in the magical land of Pandora, stating that, "we always knew that Pandora was a place as diverse as Earth." 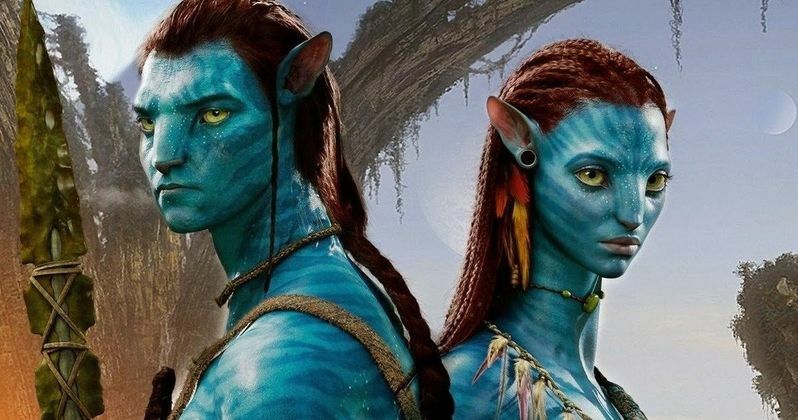 The producer also touched upon how the sequels that James Cameron makes are often better than the original, which he thinks can be achieved with Avatar 2. Here's what the producer had to say below. "(James Cameron) has done a couple of sequels before in his career and I would argue that those sequels have lived up to, if not exceeded, the original movies. That's what Jim has been working on for the last several years. Finally, we have the four scripts for the Avatar films ready." Avatar stars Sam Worthington (Jake Sully), Zoe Saldana (Neytiri), Stephen Lang (Colonel Miles Quatrich), Sigourney Weaver (Dr. Grace Augustine) and Joel David Moore (Norm Spellman) have signed on to reprise their roles, alongside new cast members Cliff Curtis (Tonowari) and Oona Chaplin (Varang). The Avatar sequels have been delayed countless times over the years, but now with a concrete production start in place, it seems the release date shuffling has finally ended. Avatar 2 will hit theaters December 18, 2020, followed by Avatar 3 on December 17, 2021, Avatar 4 on December 20, 2024 and Avatar 5 on December 19, 2025. Hopefully we'll have more casting news for Avatar 2 soon, now that a production start date has finally been set. Did Vin Diesel Just Join the Avatar Sequels?